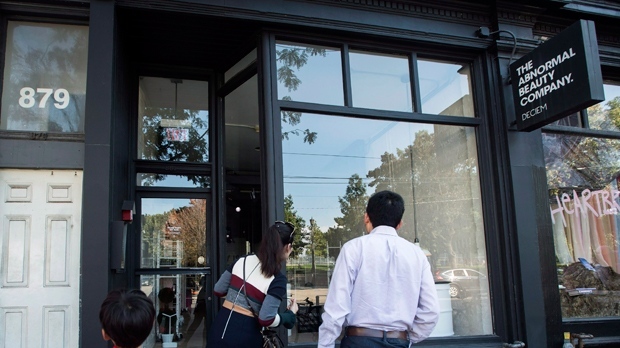 TORONTO -- Estee Lauder Companies Inc. is in an Ontario court seeking to oust Brandon Truaxe from his executive and board of director roles at Deciem, the Toronto-based beauty brand he founded. Estee Lauder, one of Deciem's investors, is also trying to keep Truaxe from issuing statements or circulating media on Deciem's social media accounts. Estee Lauder claims Truaxe's recent behaviour “unfairly disregards the interests of Estee Lauder” and is “oppressive or unfairly prejudicial” to the brand. Truaxe posted a copy of Estee Lauder's application and emails from its lawyer on Instagram and Estee Lauder confirmed to The Canadian Press that it was taking action against the brand. Truaxe has garnered criticism for his social media posts for months due to remarks he made on Instagram that angered fans of the brand so much that they began burning Deciem products.